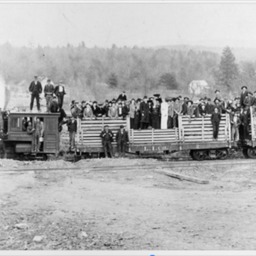 Scan of a glass plate negative showing an excursion train on the so called "Dinky Railroad" which ran from Edinburg Virginia west to the iron furnace operation at Liberty Furnace Virginia. The excusion brought passengers to see the newly installed Monarch Blast Furnace at the cite ca. 1904. 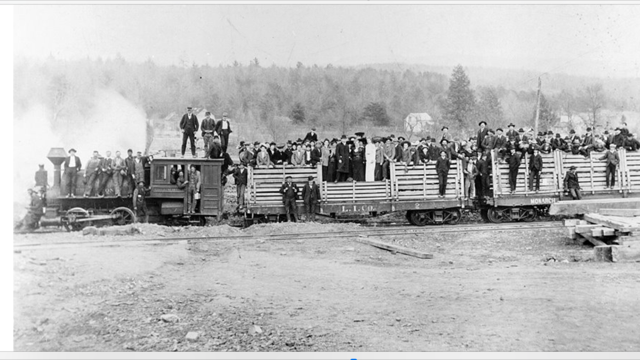 “Dinky Railroad Excursion Train,” Shenandoah County Library Archives, accessed April 24, 2019, http://archives.countylib.org/items/show/8423.